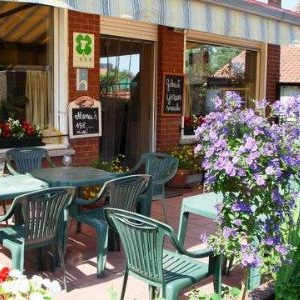 elckerlyck inn is a small country hotel runned bey family in the neighbour of Kortrijk , Rijsel ( Lille , France ) with spacious sleeping -room-studios . Beside sleeping , You can enjoy a lot of world famous Belgian beers , and in the restaurant you can smell the fine franco - belgian plates prepared with the best and fresh products of the region .We have a private garden , parking , internet-use in all the rooms . You find in the direct neighbour the highway who takes You to France , Bruges , Ieper , Brussels , Gent .